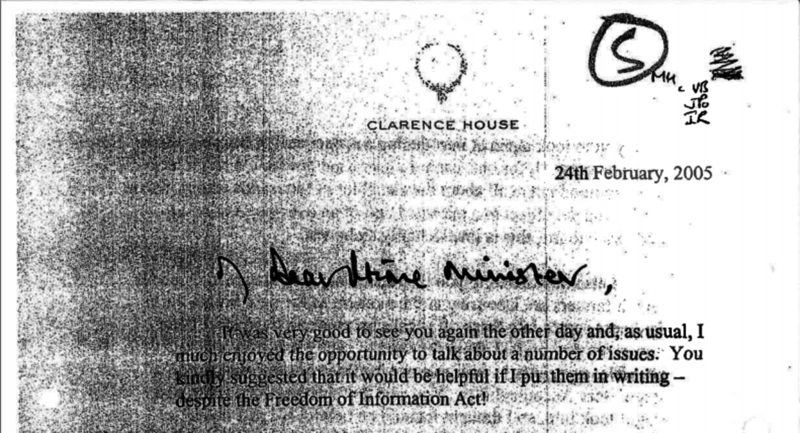 After a decade of legal battles, the content of the infamous black spider memos – letters sent by Prince Charles to former government ministers – turned out to be a damp squib rather than the smoking gun we had hoped for. The legislation, which celebrated its tenth birthday in 2015, is responsible for a transformational opening up of British bureaucracy. It turned on its head centuries-old presumption of official secrecy, solidified with official secrets legislation. The legislation was directly responsible for exposing the large-scale abuse of expenses among British parliamentarians in 2009. The news that MPs had been making lavish claims at the cost of the taxpayer lead to an unprecedented loss of trust in their kind – and jail for several former politicians who made false claims. While the scandal initially emerged when documents were leaked to the Daily Telegraph by an anonymous source, the material was being prepared for release under the Freedom of Information Act. There are few such explosive allegations in the Charles letters. In many, he is vocal on issues he is known to be passionate about – architecture; the armed forces; agriculture; the environment; rural affairs; and protecting specific species, such as the Patagonian toothfish – much to the mirth of Twitter users. Arguably his most interesting intervention is a letter raising concerns about the funding of equipment for the armed forces. As a future monarch, holding ranks of Admiral of the Fleet, Field Marshal and Marshal of the Royal Air Force, his intervention is meaningful. In a letter dated September 8 2004 Charles wrote to the prime minister of his concerns that important “Oxbow” equipment, used in airborne surveillance, was not working properly because of problems with Lynx aircraft. The procurement of a new aircraft to replace the Lynx is subject to further delays and uncertainty due to the significant pressure on the defence budget. I fear that this is just one more example of where our Armed Forces are being asked to do an extremely challenging job (particularly in Iraq) without the necessary resources. By any standard, this can only be interpreted as an implied criticism of the government of the day, and of its support for the Armed Forces in particular during the Iraq war. That it comes directly from the Prince of Wales is all the more significant. In another exchange with the prime minister, Charles raises concerns about excessive red tape for farmers, and complains about the Office of Fair Trading being overly restrictive on the growth of dairy coops. His comments on the delays in paying single farm payments to farmers – and the difficulties these delays have on rural dwellers. In another letter dated 24 February, 2005, he raises concerns about bovine tuberculosis and the impact it was having on farmers. He criticises the “badger lobby” for objecting to managed culls of badgers, arguing that their opposition to such a proposal is “intellectually dishonest”. The release of private letters between the prince and Tony Blair are all the more ironic given the Blair government introduced the Freedom of Information Legislation – though Blair subsequently said that FoI was his worst mistake in government, describing himself as a “nincompoop” for introducing it. In one telling letter, the prince notes he was putting his thoughts down on paper “despite the Freedom of Information Act” – confident that his private correspondence would never be released. Don’t worry Tony, no-one will ever know. That really is the most important lesson in this case – and one in danger of being forgotten. When powerful figures think no one is looking, they do write letters like these. The UK government is now talking about amending the Freedom of Information Act to give ministers more power to deny requests from the public for access to documents. That push back against openness is occurring worldwide – in the US the legislation is riddled with delays and costs; in Australia, the Information Commissioner’s Office was abolished by the government; and in Ireland fees were introduced to dissuade FoI requesters – though this decision was recently reversed. FoI is not a panacea but it does offer a small guarantee of openness and transparency that powerful elites cannot hide behind. Any move by the British government to water that down would be regrettable. Tom Felle is Acting Director, Interactive and Newspaper Journalism at City University London. ← Has the UK press lost its political punch?